Mothers Day is only round the corner and it’s an occasion that I love to celebrate. I’m very close to my mum so love to do something special together as a family and treat her to a few gifts that I know she will love. If you’re in need of inspiration or not sure what to get your Mum this Mothers Day, hopefully this gift guide will help. 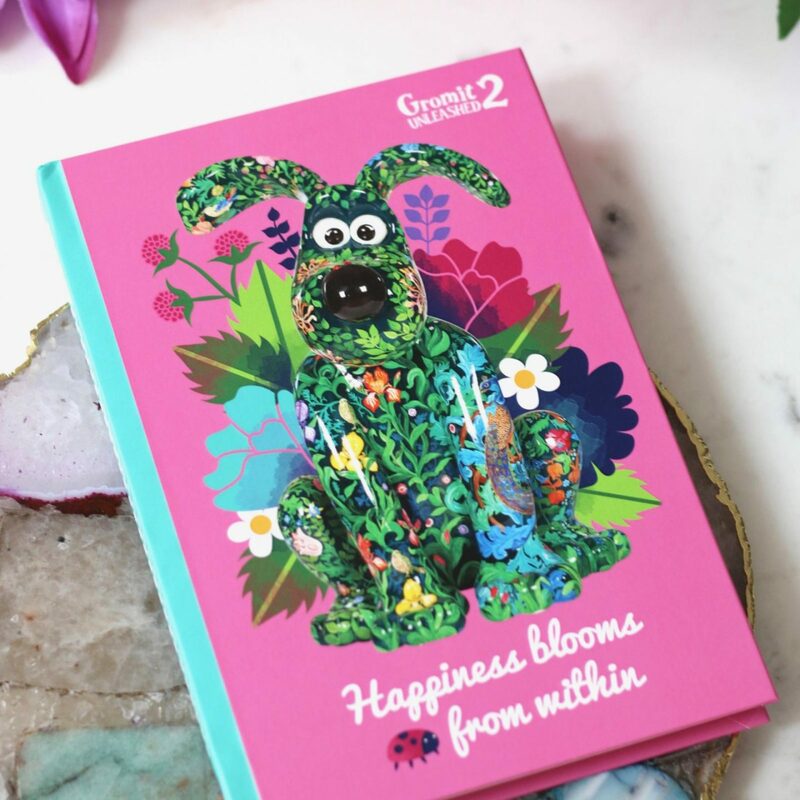 The first gift idea is from Prezzybox who are one of the best loved online gift retailers in the UK and no matter who you’re buying a gift for, they have something for everyone. My mum is very house proud and loves her home smelling amazing, so this is actually one of the gifts for my mum this Mothers Day. 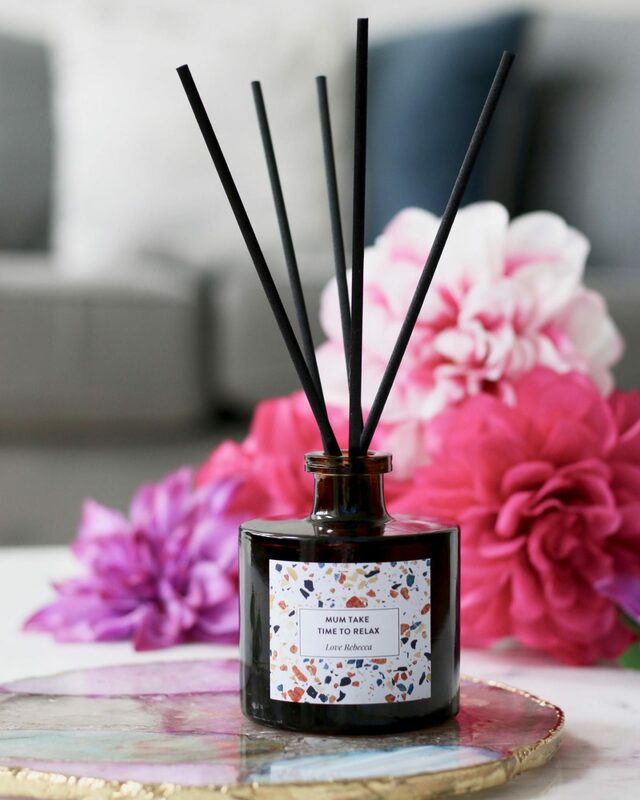 The Personalised Home Scenting Gift Set includes a reed diffuser and candle in which you can personalise both the design and the text. 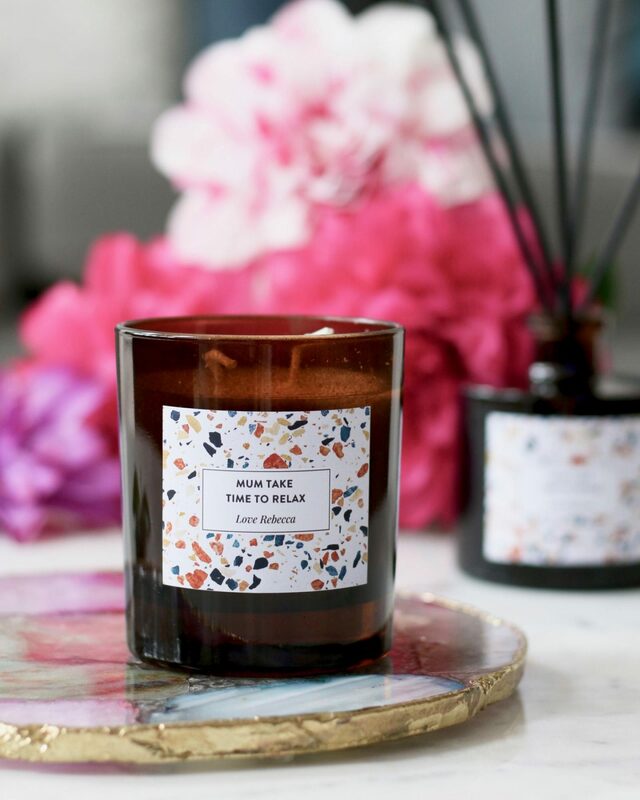 I decided on the terrazzo design and went for the message ‘Mum Take Time To Relax, Love Rebecca’ as she’s always doing something and needs to make more time for herself to relax, especially at the end of a busy day. They’re made in England from locally sourced exquisite ingredients including essential oils and natural wax, making this a luxurious gift that has the special extra touch of personalisation. I feel that I mention Baylis & Harding fairly often and it’s because they always realise the loveliest gift sets for special occasions at affordable prices. 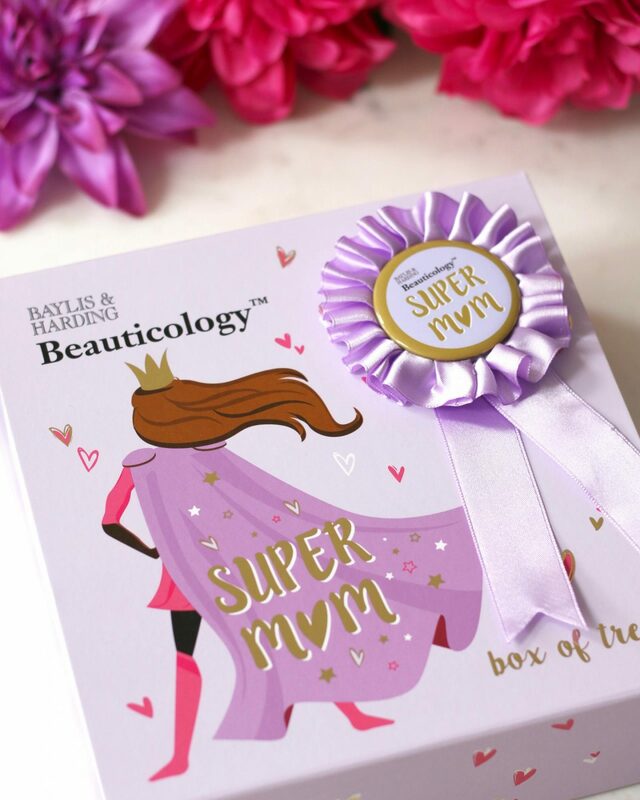 They’ve released the Beauticology Super Mum Box of Treats which includes products perfect for a pamper evening such as body wash, bath crystals and body butter. Instead of just one fragrance for the whole set this contains assorted fragrances including Unicorn Candy, Frosted Sprinkles and Tropical Cocktail. 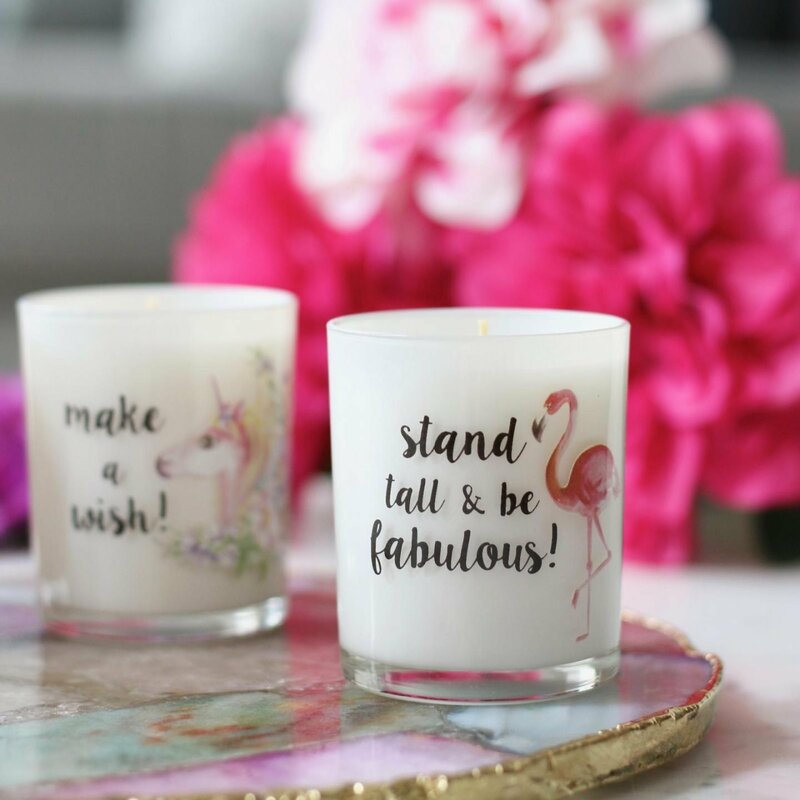 As much as I love layering products it’s also fun to use a few different scents, especially for a pamper evening when you want to indulge in a few different products. Another gift idea is the Beauticology Super Mum Trio of Candles set because everyone loves candles right?! 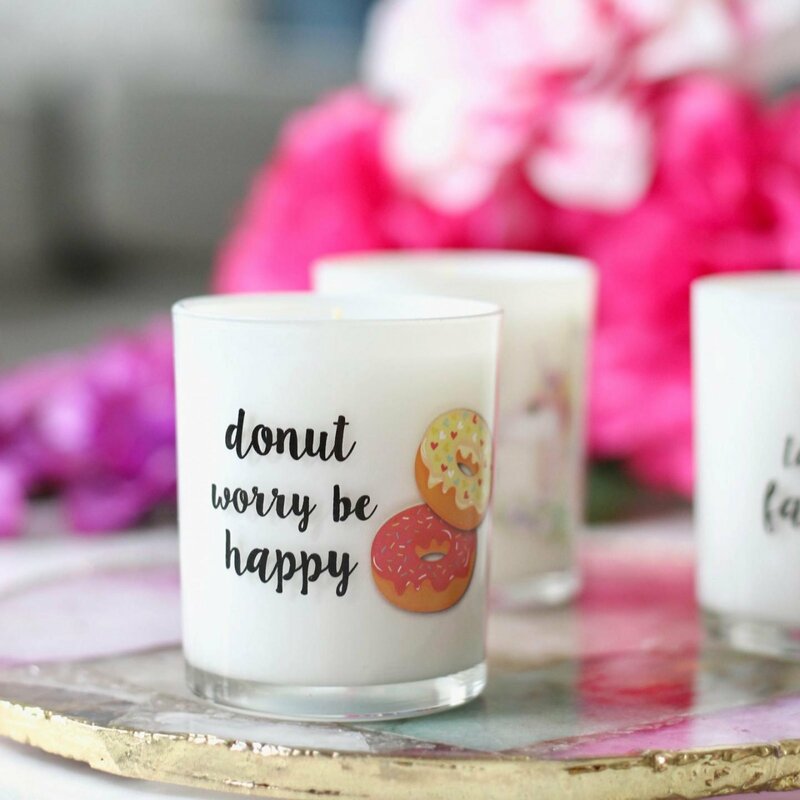 There’s a cute quote and illustration on each candle and they’re in the same fragrances as the previous set which are Unicorn Candy, Frosted Sprinkles and Tropical Cocktail. 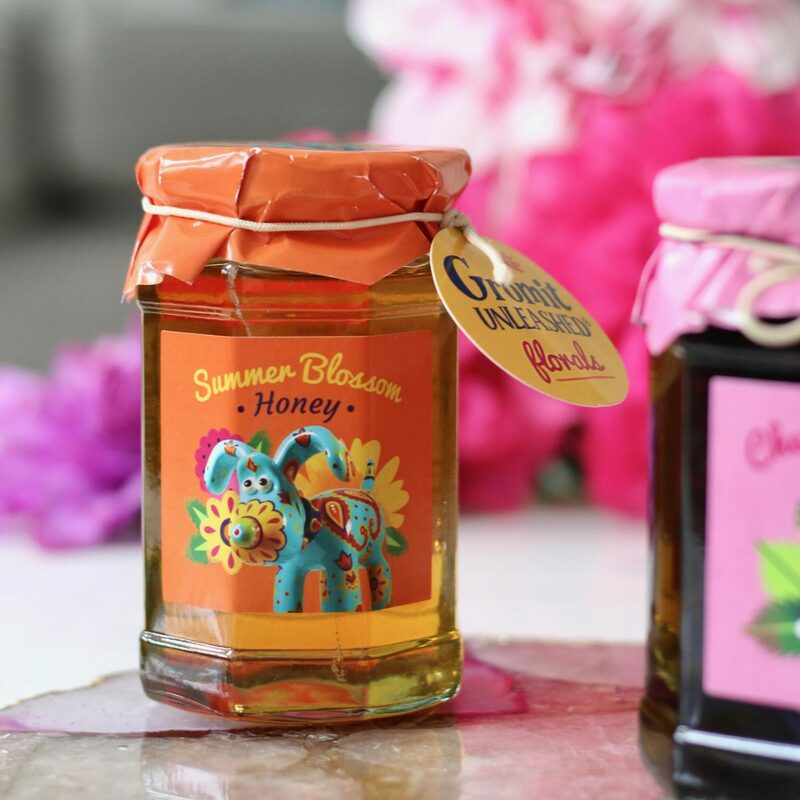 If you mum likes sweet scents then she will be sure to love these! I’ve mentioned Gromit Unleashed and I love to support them as they’re run by The Grand Appeal, the Bristol Children’s Hospital Charity. 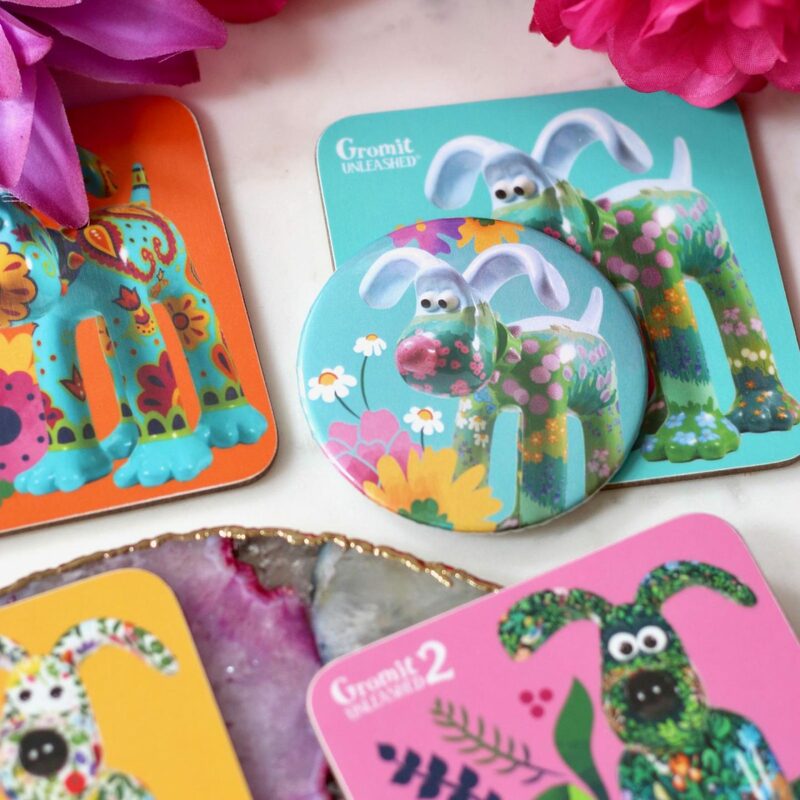 The Gromit Unleashed Shop is non-profit as it raises money for sick children and babies will all profits being donated to The Grand Appeal. They have released a beautiful new floral range which I thought would make lovely gifts for Mothers Day. 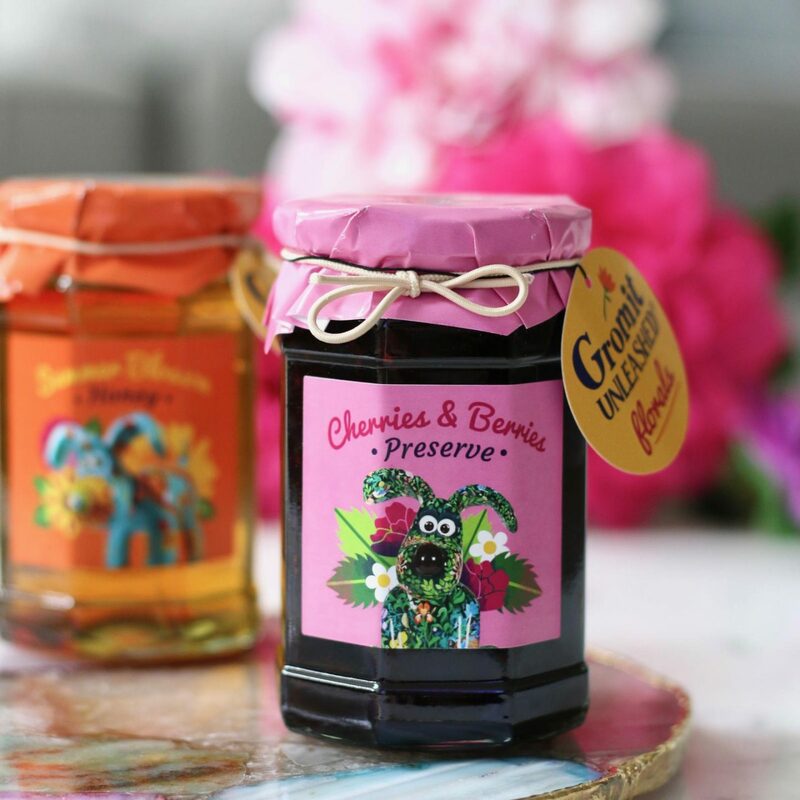 The first two items I have to share from the range is the Summer Blossom Honey and the Cherries & Berries Preserve which are not only beautifully presented, but also taste delicious on a hot piece of toast or crumpet! If your mum is a lover of tea and biscuits (who isn’t?!) 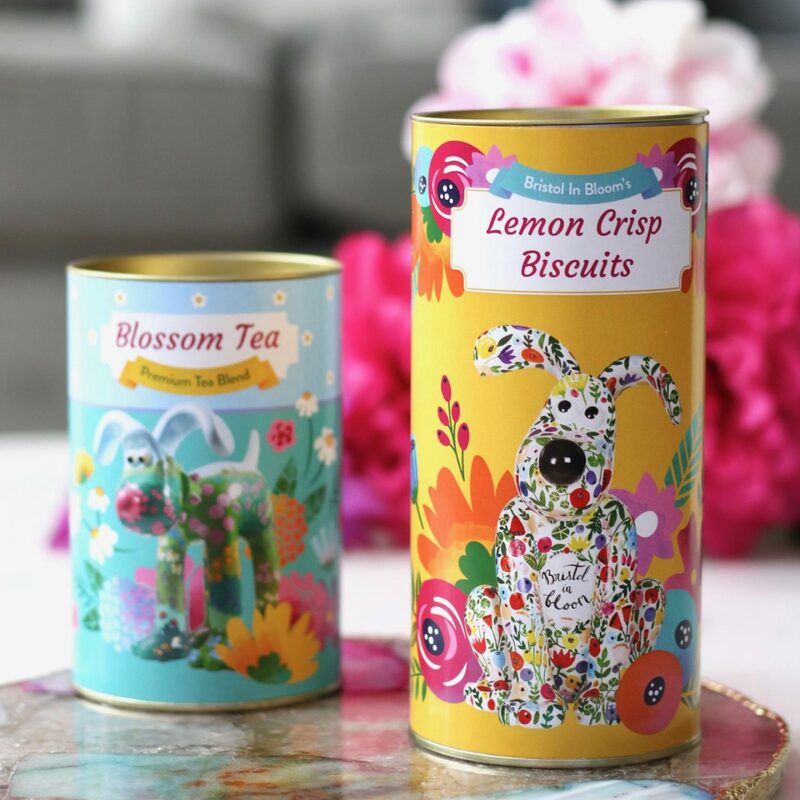 then you might be interested in these tins of Blossom Premium Tea and Lemon Crisp Biscuits, as you can’t treat her to a lovely tea without biscuits to enjoy together. 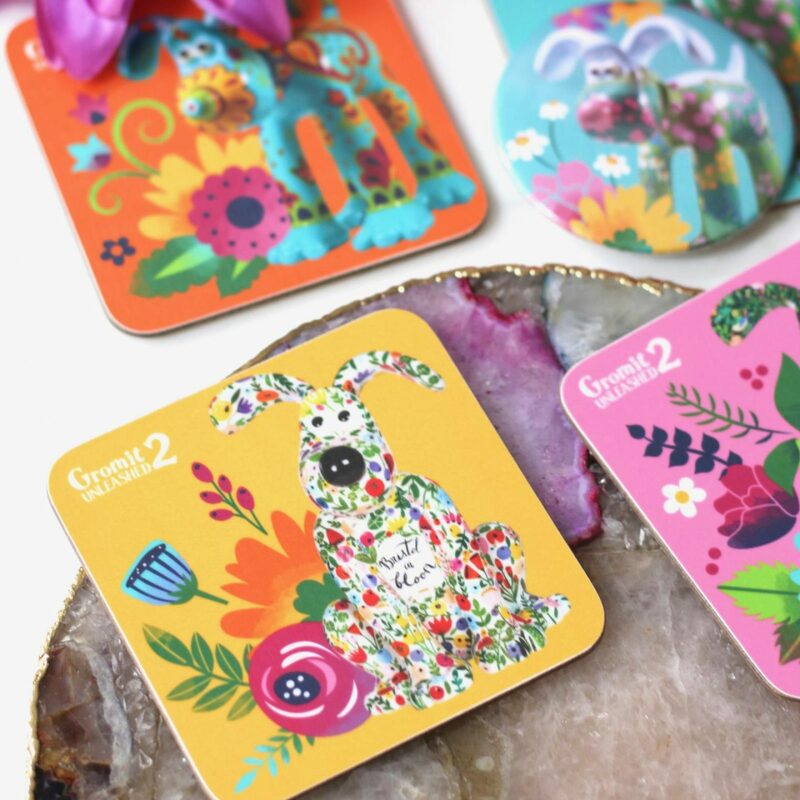 Also included within the range are these wonderfully floral coasters which will add a lovely pop of colour into the house this spring, and pocket mirror which is so handy to keep in your bag! 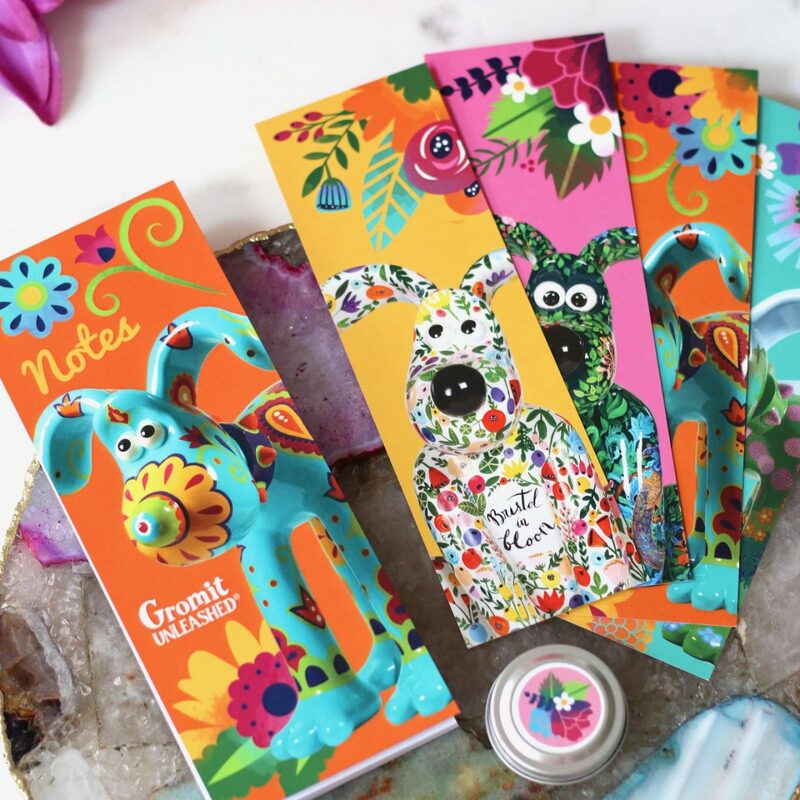 As you can see there’s such a wide range of gifts within this range including beautiful notebooks, bookmarks, food and teas. You will also be supporting The Grand Appeal which makes these Mothers Day gifts even more special. 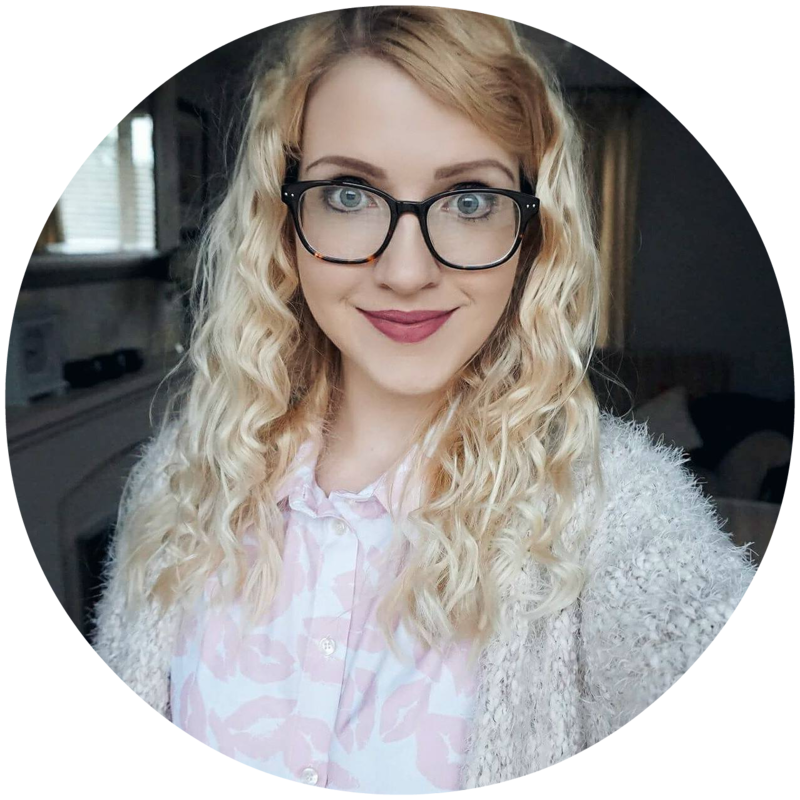 That’s everything that I wanted to share with you for this Mothers Day gift guide, I hope that it helped with inspiration and gave you a few ideas of what you could treat your mum to. I hope you all have a lovely Mothers Day and enjoy spending quality family time which is so special and important.